MK Limousines is the premier limousine rental, airport transportation provider for the Spring, Tomball, The Woodlands area. We specialize in offering airport sedan transportation, limousine service and party bus rentals for wedding, homecoming, prom, rodeo, casino, birthdays as well as corporate events. Always professional, timely, and attentive, our dedication and service is unsurpassed. 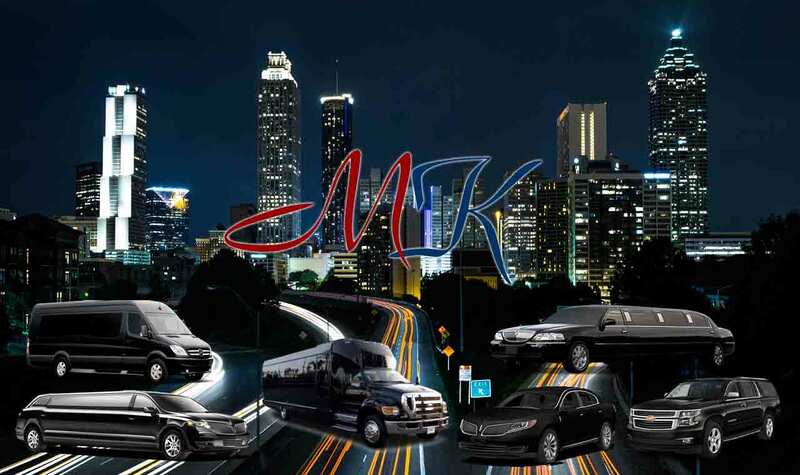 Coupled with top of the line luxury vehicles boasting amenities such as flat screen TVs, quality sound systems, and more, MK Limo is prepared to help passengers experience an unforgettable trip to any event or destination in and around Spring, Texas. Spring, Texas residents and visitors can call upon our luxury transportation services for a variety of events and occasions in and around the area. We provide airport shuttles, wedding limos, prom limos, concert transportation, cruise shuttles, and more. MK Limo works with clients to understand their needs and provide them with appropriate transportation solutions. Peruse our website to learn more about the choice limo services we offer, or contact us to inquire for more information. Airport Shuttle: MK Limo provides airport sedan, suv shuttle service to passengers departing from or arriving at George Bush Intercontinental Airport (IAH) and William P. Hobby Airport (HOU) in nearby Houston, TX. We ensure that passengers receive a timely drop off or pick up when they need it, for a smooth and stress-free experience. Our airport shuttles are private and direct for your convenience. Anniversary: Planning a very special anniversary celebration starts with calling MK Limo for our romantic, luxury anniversary transportation service. We can provide you with an elegant luxury sedan or stretch limousine to take you between destinations. Enjoy entertainment, upscale amenities, and privacy in the backseat of our vehicle while your professional chauffeur attends to your transportation for the evening. Bachelor/Bachelorette Party: MK Limo can help add glitz, glamour, and fun to your bachelor or bachelorette party plans with our party transportation service. Our spacious vehicles are perfect for accommodating large groups, which means you don't have to pare down your invite list. Share your last hoorah with those closest to you in the comfort and luxury of our stretch limo or party bus. We help ensure you and your guests have access to reliable and safe transportation for the evening. Birthday: Let MK Limo help you make this a unique and memorable birthday celebration for yourself or a loved one. Our luxury transportation service can provide you with a high end sedan, stretch limousine, or party bus for the occasion, to ensure that the guest of honor enjoys a relaxing and fun experience even between destinations. Arrange transportation for all your guests affordably and easily for a safe and unforgettable birthday. Casino: Our casino shuttle service is a convenient, reliable, and fun way to arrange a trip to one of the many casinos found in Texas or nearby Louisiana. Test your luck or enjoy one of the many other great offerings provided to guests. MK Limo will make sure that you and your group have access to transportation to and from your destination when you need it. Leave the driving to our professional chauffeurs, and get the most relaxation and enjoyment from your trip. Concerts: MK Limo offers premium concert transportation to music and arts lovers throughout Spring, TX. Attend a show at one of the many venues found locally or in nearby Houston, TX. We provide convenient, reliable, and direct round trip private transportation for individuals or groups to take the hassle and stress out of getting to and from crowded concert venues. Enjoy celebrity treatment and the comfort of a luxury vehicle when you book with us. Cruise Shuttle: Vacations should be fun and relaxing. Our cruise shuttle service ensures that you are not bogged down by the many details of arranging transportation for a family or large group. MK Limo offers a convenient, affordable, and easy way to ensure that you and your group arrive at the port on time for your cruise. Our vehicles provide ample space for passengers and luggage to ensure a comfortable and enjoyable trip to and from your cruise ship. Graduation: Celebrating the graduation of a son, daughter or loved one from high school or college is an exciting event for the whole family. It is a proud moment for parents and child alike. It is with great honor that we provide graduation day transportation to students and their families to help mark this momentous occasion. Our luxury vehicles are perfect for groups of all sizes, allowing your family and friends to share this special day with you. MK Limo can transport passengers between home and the ceremony, as well as any graduation parties or events for a day filled with fun and good memories. Homecoming: Homecoming is an important social event for many, who look forward to the opportunity to dress up, socialize, and have fun. Arrive at the main event in style with MK Limo. We provide stretch limousines and party buses to students who are attending homecoming with their date, friends, or teammates. Our group transportation allows for up to 25 passengers, making it easy to accommodate everyone and celebrate together. The luxury and decadence of our premium transportation will help make this an unforgettable event. Night Out: Arranging safe, reliable, and convenient transportation for a night out is something to look forward to when you choose MK Limo to be your party transportation service for the evening. We ensure you and your guests have access to transportation between home and your favorite Spring, TX bars or clubs for a worry-free night of fun. 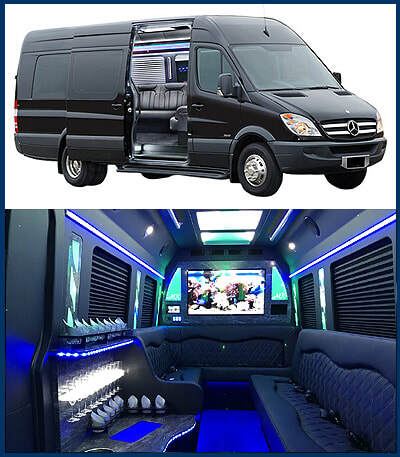 Take the party on the road in our stretch limousines or party buses, and keep things exciting from start to finish. Our professional transportation service helps everyone stay responsible and safe. Parties: Any party will feel like a red carpet event when you arrive in one of our luxurious vehicles. MK Limo is a safe and responsible party transportation option for those who are planning a night out in Spring, TX. Our vehicles can accommodate couples or large groups, making it easy to find the perfect transportation for your situation. Enjoy the amenities provided to you in our vehicles, or relax within the spacious interior. A professional chauffeur will get you to and from your party without trouble. Prom: MK Limo provides luxury transportation for high school students attending prom. Our elegant limos and party buses are the perfect way to impress a date or share a unique and fun experience with your group of friends. As the final major event of students' high school careers, celebrate in style and elevate the evening with our limousine rental services for a memorable night. Rodeo: Rodeo events draw in visitors and tourists from all over. Arrange for our private transportation service to make attending your favorite livestock show or rodeo easy and stress-free. Our luxury sedans, limousines, and party buses can get you and your group to and from the rodeo in comfort and style. Sweet 16: Every princess needs a horse and carriage to whisk her away. Let MK Limo help your daughter enjoy an unforgettable Sweet 16. We offer premium luxury vehicles and exceptional service to ensure a transportation experience she will never forget. Weddings: MK Limo provides timely and professional wedding transportation services to brides and grooms, as well as their wedding party on this monumental day. Add a touch of elegance and glamour to your big day when you arrange for a limousine or party bus through us. Wine Tours: Celebrate local wine with a wine tour around Spring, TX. Our MK Limo transportation service will help you find your way to the best wineries and vineyards in the area. It is an ideal activity for both novices and longtime wine lovers alike. ​MK Limo offers a range of vehicles for every occasion. From luxury sedans to stretch limousines and party buses, we have the perfect vehicle for your special event or trip. We can accommodate single passengers, families, or groups of up to 25 people. Arranging transportation for everyone is easy, affordable, and convenient when you book with us. MK Limo has been offering premium private transportation in the area since 1999. With years of experience and an established reputation for reliability and professionalism, we strive to give our passengers a transportation service that is out of the ordinary. Each trip is built around the needs of our clients to ensure an experience that is unique and satisfactory every time, no matter the occasion. We provide passengers with highly trained and qualified chauffeurs to attend to their care and safety for the duration of limousine or vehicle rentals. Our fleet consists of only the most comfortable, spacious, and luxurious vehicles for our passengers. Contact us to obtain a quote for a limo rental or to reserve a vehicle for your event. The customer service representatives at MK Limo will be happy to answer any questions you may have regarding our services or vehicles to help you decide on the best option for your particular needs. Let us know how we can be of assistance, and we will do our best to help ensure you receive the best transportation experience possible.